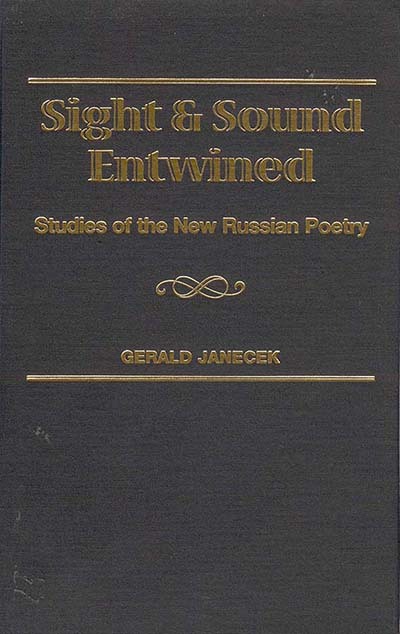 Notwithstanding the economic hardship Russian people are experiencing, their cultural life is as rich and alive as ever, as Gerald Janecek shows us in this collection of his articles on contemporary Russian poetry, which are especially written for this publication or so far only available in Russian. These articles focus on works in which sonic-musical, resp. visual-typographical features are used to produce interesting new effects and range from a musical analysis of the way Joseph Brodsky recited his poems to quasi-musical principles of organization (as in the works by Mnatsakanova and Nikonova) to layout designs that reflect the way a poem is recited (as in the case of Khudyakov, Volohovsky, Brodsky, Nekrasov, and Aigi) and perceived. As the first serious scholarly examination of the poets presented, this volume offers an important introduction to Russian avant-garde poetry. Gerald J. Janecek is Chairman of the Department of Russian and Eastern Studies at the University of Kentucky.